I’m Rachel Read, a Hong Kong-based freelance writer, editor, blogger, dessert addict and general layabout. 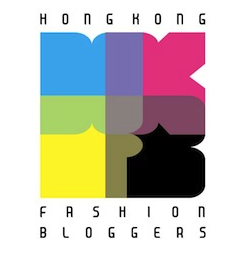 I created Through The Looking Glass in 2010, a “beauty, food, Hong Kong and whatever else I can think of” blog, as one of the few English-language beauty blogs in Hong Kong with in-depth product reviews and swatches. I also write about Hong Kong restaurants (including lots of desserts! ), shows, exhibitions, places to visit and other quirky things, alongside an eclectic mix of theatre, music, film and television reviews, and random musings on ‘pretty things’. A long time ago, I graduated with a First Class Degree in English Studies from Nottingham University. I wrote a 10,000 word dissertation about The Stylistics of Chick-Lit (versus generic romance novels), which I am still pretty proud of and all too happy to whore out to anyone that’s interested. You can also see more examples of my writing for various publications (and none of it is 10,000 words long, I promise) here. Some stuff I love: middle eights, epic key changes, print dresses, garlic, my boyfriend, Bliss Spa, Girls Aloud, studying and attempting to learn dance routines, men in suits with posh accents, inappropriate crushes, salted caramel and cute dogs. Some stuff I don’t: people who dislike the mainstream in misguided attempts to ‘be cool’, getting my hands dirty, insects, wanting stuff I can’t afford, ingratitude, tardiness and foie gras. All in all, not too shabby, right?! If you are interested in my writing, sending products for review or just want to tell me your favourite ever nail polish, please email me at rachelmread+ttlg@gmail.com. Great site, it could be a glossy international magazine. Keep it up. Are you selling a version of this print? I hoped my post made clear I am NOT the artist. The artist is Heiner Meyer and his website is here http://www.heiner-meyer.de/index1.htm. You can purchase the calendar that I wrote about which features those prints from http://www.calendars.com or http://www.amazon.com, by searching for ‘Heiner Meyer Glamour calendar’. Just thought I’ll comment since I really liked your posts on different restaurants in Hong Kong and its in English! Planning to go to a few with my friends the next time we meet. Its been a pleasure to read your blog! Glad you enjoyed my blog and hope you carry on reading! There are lots of other great food blogs (in English!) for HK (not many English HK beauty blogs though) and most of them take MUCH better photos than me, so I try to compensate on the word count! Openrice also has some English reviews and is good for getting a general overview for restaurants. Alas, my kindergarten days are behind me and I’m still working out what lies ahead! Came across your website on a pretty boring day in the office and wanted to say I found all the content really interesting, from reviews on restaurants to your insight on the McBride/Myers murders. Being a HK kid myself, I went to uni in the UK and then came back to HK again with no real ideas of what I want to do so also trying to figure out what lies ahead. I thought it was pretty inspiring that you have taken things in your own hands and tried to do something you love. Hope it all works out for you, and keep up the good work. Thanks for your kind comments and encouragement; sorry for the delay in replying… I’m so happy that you enjoyed reading my blog and that it helped you while away a few boring hours in the office! How are you finding being back in HK? Hopefully, we’ll both find our true callings here sometime! That is so sweet and lovely that you are inspired by me! But honestly, I’m a lazy good-for-nothing slacker really! Glad you’re enjoying the blog too! Make sure you comment on stuff so I know what you like! And thanks for this comment, it means a lot! Thanks so much for the kind comment and glad you are enjoying the blog! Hope all the make-up doesn’t put you off! Had been busy at work did not realise you replied! Now I’m on a one week break in HK 🙂 no, doesn’t put me off. make up is very important!